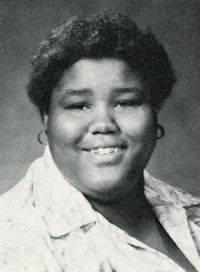 Obituary – Moses, Vanessa Yvette « Perry High School Alumni Association, Inc.
Vanessa Yvette Moses, 56 of Perry, Oklahoma passed away Saturday, July 1, 2017, peacefully at her home. Vanessa was born on March 22, 1961, in Stillwater, Oklahoma to Lamar and Irene Moses. She grew up early in life in Stillwater, later moving to Oklahoma City and then in 1969 to Perry, Oklahoma. She was a graduate of Perry High School and a member of the New Prospect Baptist Church of Perry, Oklahoma where she was baptized. Vanessa was better known as BB by her family and many friends. BB enjoyed cooking for family and friends on holidays and special occasions, hosting family gatherings and sewing. She got much enjoyment riding around Perry her hometown with friends and family. She was known by her white Cadillac cruising the streets. BB never met a stranger. She is survived by her sisters, Sylvia Moses Atkinson and spouse, Bruce of Perry, Oklahoma; Maggie Moses and Martha Moses both of Oklahoma City, Oklahoma. Brothers, Abe Linzy of Tishomingo, Oklahoma, Delbert Moses of Glencoe, Oklahoma, Luddie Moses, Froghorn Moses, Edward Moses and Zachary Moses all of Perry, Oklahoma. Also surviving is the love of her life, Matt Brown of Perry, Oklahoma and many aunts, uncles, nieces and nephews and a host of friends. 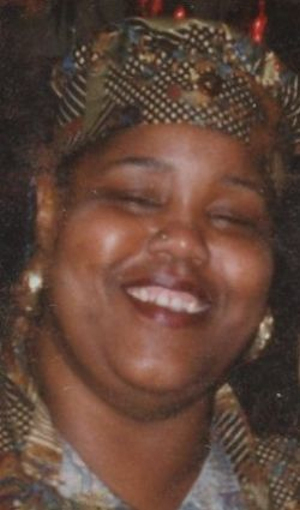 Vanessa is preceded in death by her parents, Lamar and Irene Moses, a sister, Cheryl Moses, two brothers, Clyde (Fred) Moses and Lamar Moses Jr. Grandparents, Lee and Roberta McGlory as well as, two aunts, Helen Murray and Doris Franklin. Cremation services are under the direction of Brown-Dugger Funeral Home of Perry. Memorial Services will be Saturday, July 15 at 11:00 AM, First Christian Church of Perry, Oklahoma.